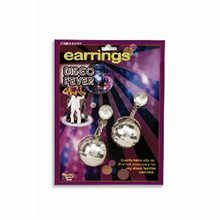 Disco Ball Silver Earrings,Call the Doctor, you've got Disco Fever! Our comfortable clip-on Disco Ball earrings will light up the dance floor. 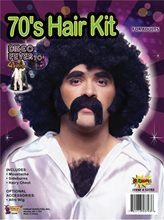 This is the perfect accessory for any Disco themed costume. Disco Necklace.Includes: One Gold "Disco" Necklace. Available Size: One Size Fits Most Adults and Teens. *Costume Not Included. Accessories Sold Separately. Complete your disco costume with this gold necklace! It features a gold disco pendent attached to a rope chain that has the appearance of a real gold chain. 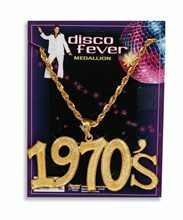 Slip this necklace on with any of our male or female disco costumes for a great look! Disco Necklace.Includes: One Disco Necklace. Available Size: One Size Fits Most Adults and Teens. *Costume and Accessories Not Included. Sold Separately. Complete your disco costume with this gold necklace! It features a gold disco pendent attached to a cloth rope that has the appearance of a real gold chain. 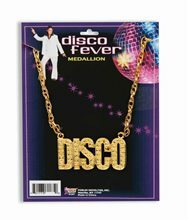 Slip this necklace on with any of our male or female disco costumes for a great look! Disco Earrings.Includes: One Pair of Disco Earrings. Available Size: One Size Fits Most Adults and Teens. *Costume and Accessories Not Included. Sold Separately. Dance Halloween night away in these fabulous Disco Earrings! These earrings have sparkly dangling disco balls and are a comfortable fit for all night wear. 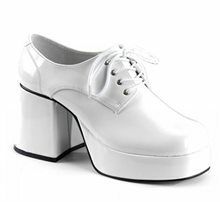 White Disco Platform Adult Shoes.Includes: One Pair of White Disco Platform Adult Shoes.Available Size: Mens - Small, Mens - Medium, Mens - Large. *Costume and Accessories Not Included. 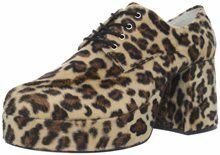 Sold Separately.This shoe has a 3 3/16 inch heel and a 1 1/2 sole platform. 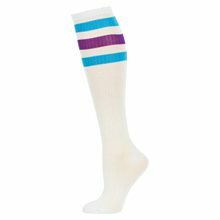 Lined in imitation leather with a soft cushioned foot pad. Imitation Faux PU leather or Patent Finish with heavy braided laces. Groovy Pink Vest Standard; Great hippie vest fits up to 42 chest size. Works for guys or girls. Lined in black satin fabric. 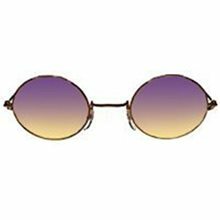 Flash Back to the 60’s and 70’s with all the Peace, Love and Saturday Night Disco’s.